When you’re starting out selling private label products, it’s recommended you take the path of least resistance. In this episode I go over 13 products I would recommend avoiding and how I came about that list. How can I use review sites to know what to sell or not? 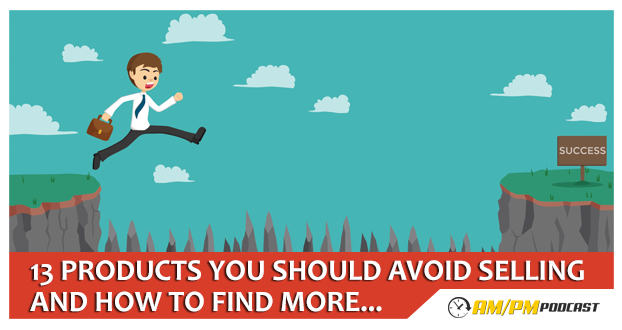 What products should I stay away from when initially selling in Amazon? In episode 2 I went over how competitors could use review services to take your ideas. Another way to use review services is to figure out what products are getting over-saturated. If you pay attention to the listings in these services you’ll notice patterns start to emerge. Multiple sellers asking for reviews for very similar products can mean that there too many people jumping on a trend. The list below is made up of 13 products I have recently seen on review services over and over again. The list will change over time; the strategy will help you for years to come.